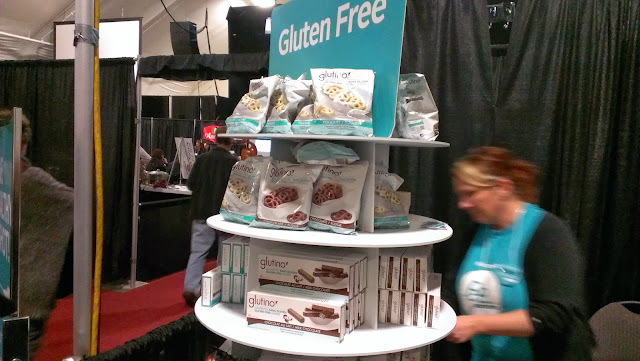 We had the opportunity to attend the Gluten Free Living Health Show and were happy to walk around and meet some of the vendors. I don't have a full list of vendors that were there, but please enjoy this pictorial of some of the products and shops in attendance. 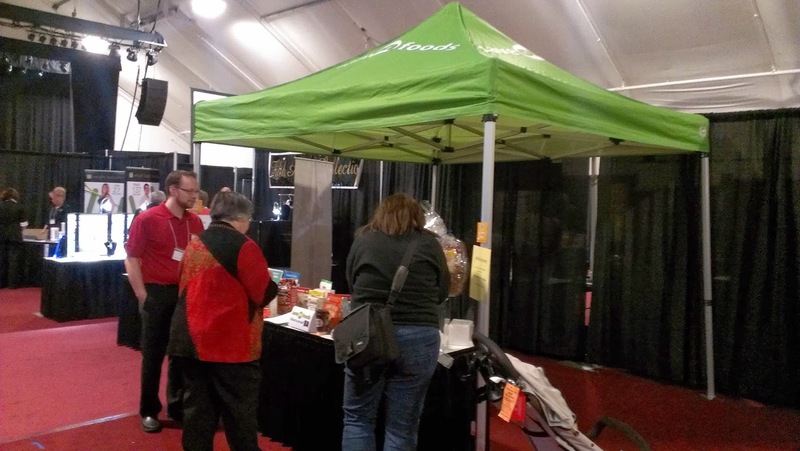 First off, of course Kinnikinnick was showcasing their fresh baked goods that you can get in the store. This included their baquette, bagels and breads. They are such champions for the gluten free industry and Edmonton itself. Owner Gerry Bigam was there at the booth welcoming people. What a classy organization. I feel silly I totally forgot to snag a shot of them. I'm going to start off with the biggest surprise and impact for me, and that is Rexall's efforts towards the Celiac community. 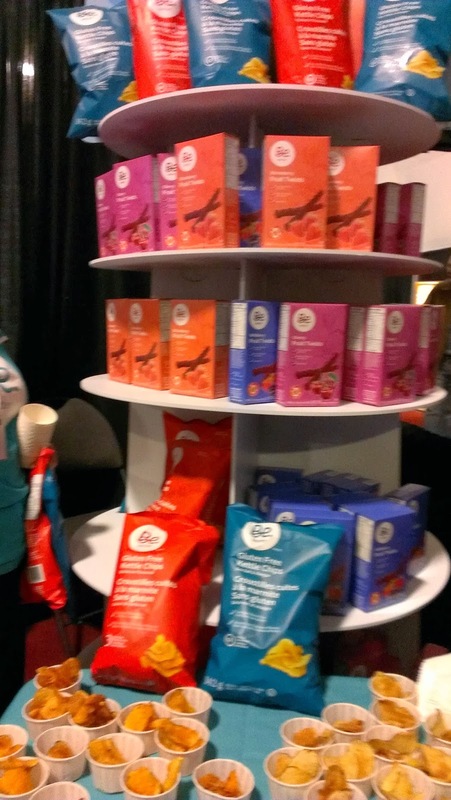 They had quite the display of their Be line of snacks that have actually gone through the Gluten Free Certfication Organization to get the GF Certficiation. Wow! And below is a huge line of Glutino products they carry. 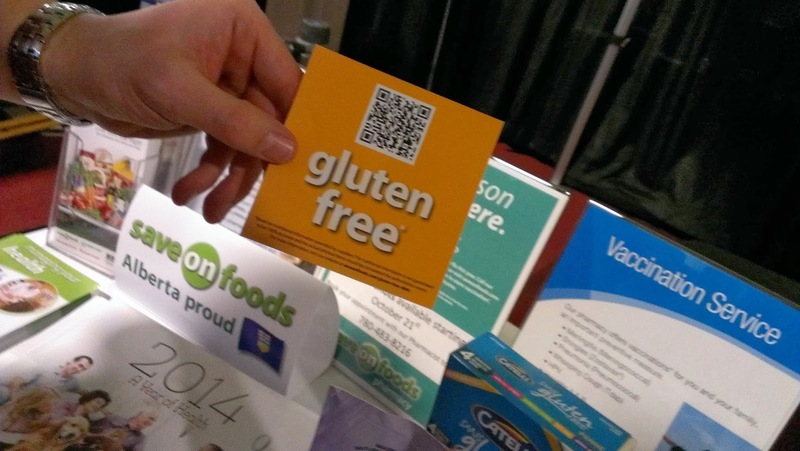 Read more about Rexall Pharmacy's gluten free living. Oh and we also got our flu shots on site. Judy G was sampling her frozen ready made gluten free pizza's. Did you know that Judy G is a Canadian Product? Actually, better yet, it's an Alberta product made in Calgary! 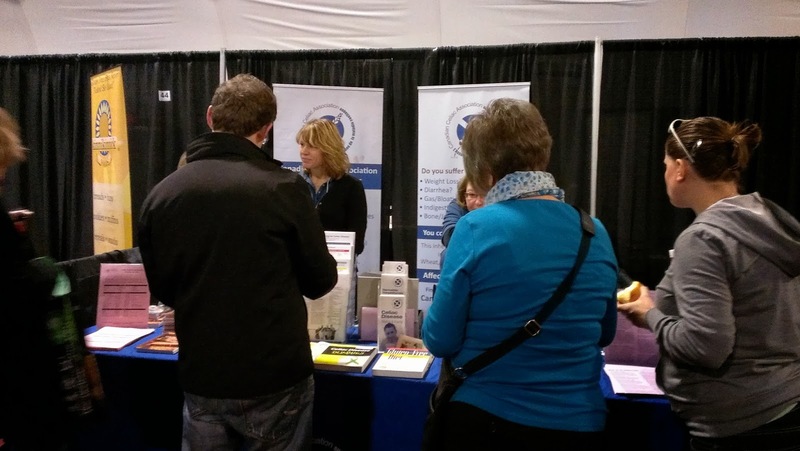 #BuyAlberta! 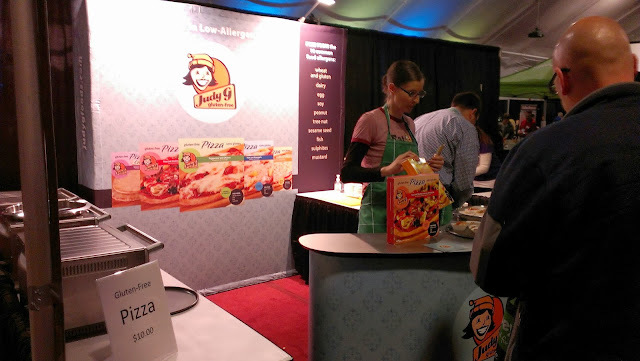 You can find Judy G's gluten free pizza's at Sobey's! I don't know if everyone has tried the gluten free Chex cereal that came to Canada two years ago, but if you haven't, Sunday was a good day to try. It's usually NOT in the gluten free aisle, and instead mixed in with all the standard cereals. 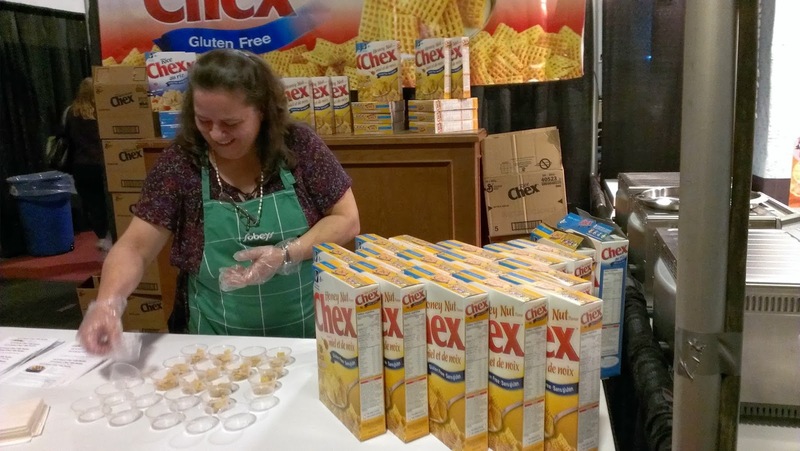 Chex can be found at Sobey's and most other large retailers. 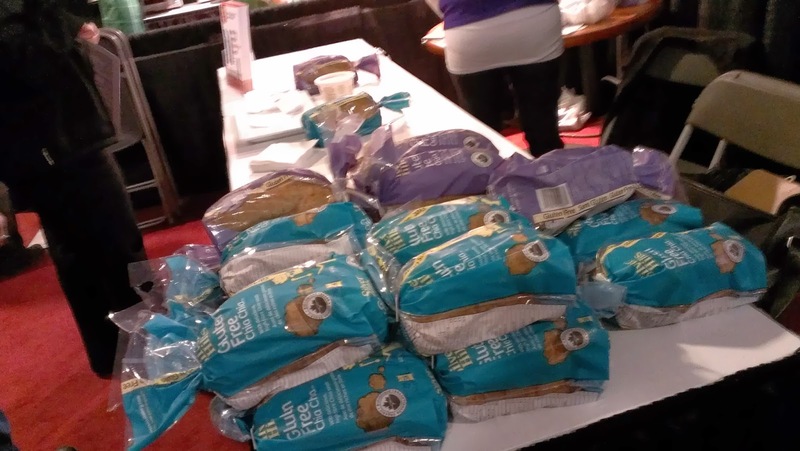 Previously this year, we had written about Silver Hills Bakery's line of gluten free breads. Once again, a great opportunity to try their breads if you hadn't already. Their breads are Organic which sets them apart from the rest. So naturally you can find them at Earth's General Store, Planet Organic and Pangea Market. We have also seen them at Costco! This is a Canadian product out of BC. This was a delightful surprise. Serving a lunch was Violino Italian Restaurant located in the High Street area. I didn't sample the food (should have though), but I did speak to the chef who talked to me about their menu. 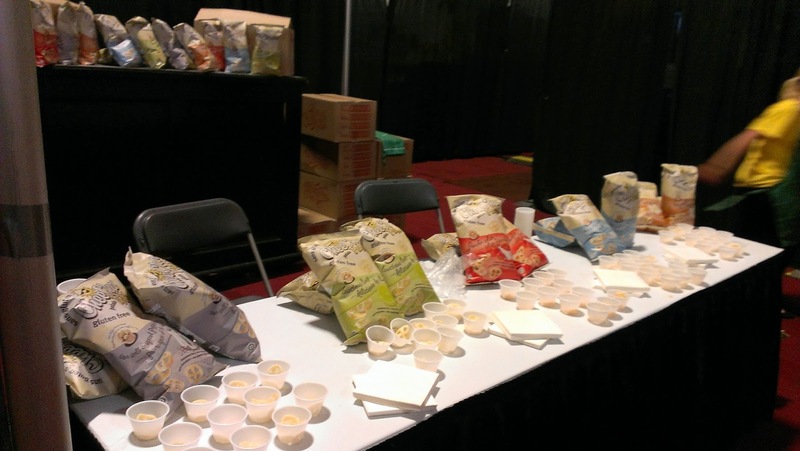 He said they can certainly make practically everything on their menu gluten free. 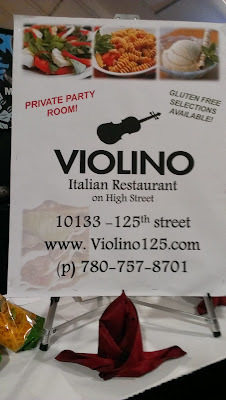 Chef was telling me he was so surprised at the number of gluten free requests, that he just had to begin to accommodate the gluten free diet. They currently have a separate prep area in the kitchen for their gluten free eaters. 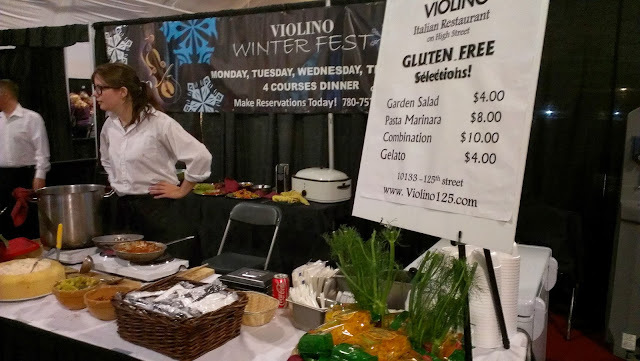 Chef is also working on a separate gluten free menu to make the communication about what can be prepared gluten free and what can't much easier. 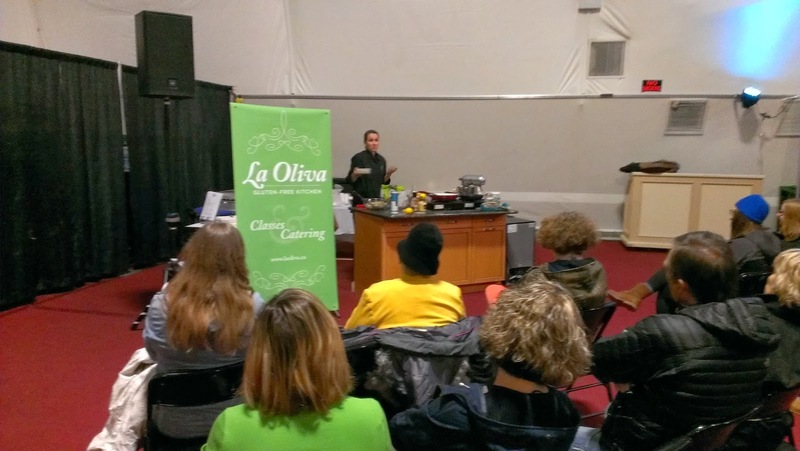 Alisha from La Oliva Gluten Free Kitchen was demonstrating her talents and doing cooking classes throughout the day. Be sure to check out Alisha's website and learn more about her cooking classes and catering available. Epicure was also on site, displaying all their gluten free spices and sauces. Yum! This was actually the only purchase Amanda and I made at the show. 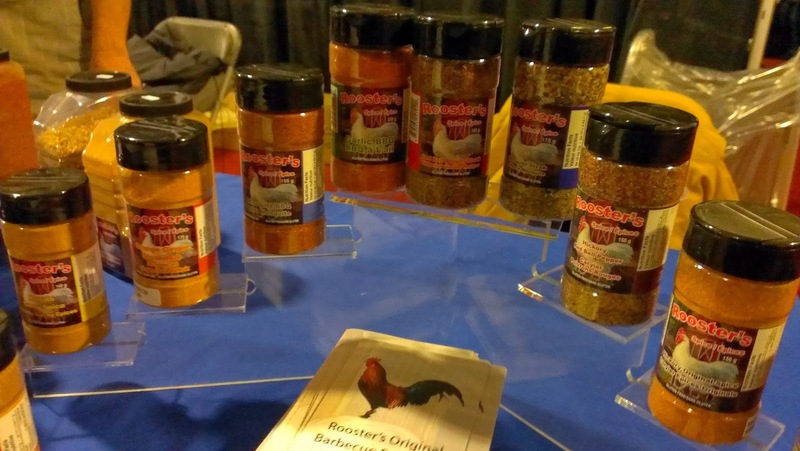 Rooster's spices! We had to try the masala curry powder, because it smelt so good. 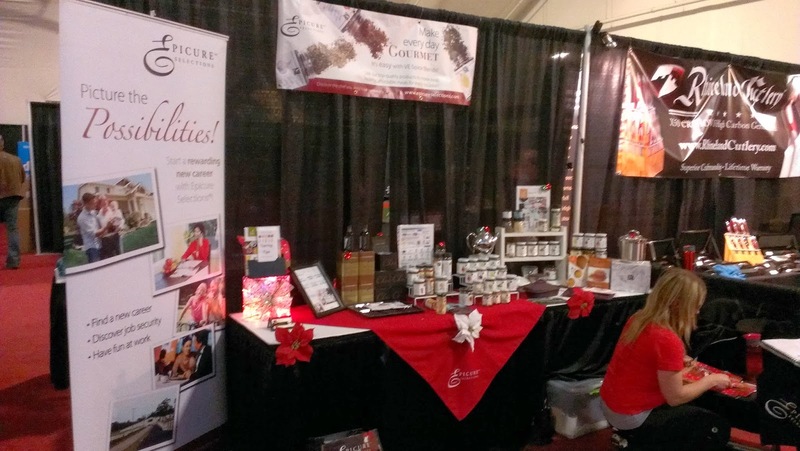 This is another local company, as these spices are made right here in Edmonton. All spices are tested to be gluten free and can be found at Sweet Treet on 50 street and at Darcy's Butcher in St. Albert. Can't wait to try out our masala spice. 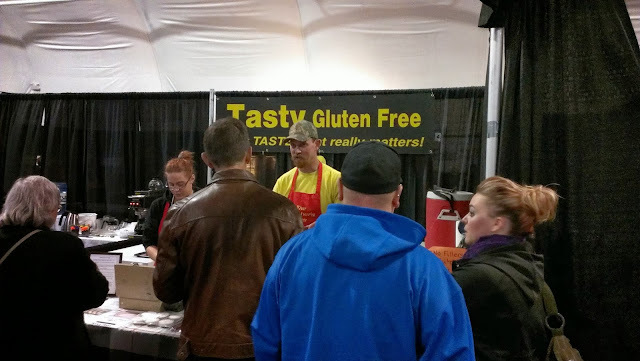 Charles from Tasty Gluten Free was being swarmed by people for his gluten free perogies. Still the most widely visible perogies to be purchases. If there are others, they are not as visible. I know you can go to High Level Diner on thursdays for gluten free perogies, but that's about it. Finally ole faithful CheeCha Puffs. Why ole faithful? This is one of the first gluten free snacks we found, before the big boys like Lays decided to amp it up and test gluten free. We were one of the original supporters of CheeCha Puffs and were happy to be champions in the early days.